WHAT IS ARYA SAMAJ AND WHAT DOES IT STAND FOR Arya Samaj consists of two words which have special significance. The word Arya implies a person who is noble, knows the difference between right and wrong, keeps an open mind and is ever ready to accept the truth. These are the characteristics of being truly Noble. The word Samaj means a group which collectively functions in the interests of social and spiritual uplift of society. Thus Arya Samaj constitutes a body which raises the social and religious awareness amongst individuals and helps them become noble. Swami Dayanand Saraswati (1824-1883) established the first Arya Samaj in April 1875 in Bombay (Mumbai) and later in Lahore then in British India . 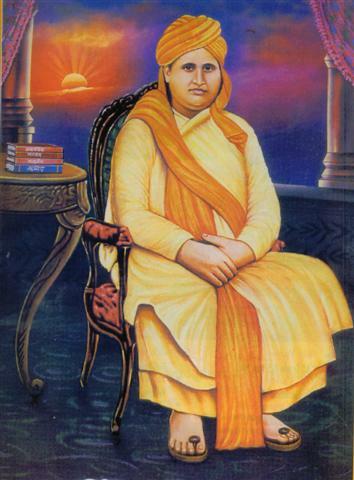 Swami Dayanand was a progressive social and religious reformer. His entire focus was based upon power of ideas and ideals. Swamai Ji started Sanskrit schools in many places to teach the language without which the spread of Vedic knowledge would not be possible. He established orphanages for the benefit of deprived children. He was a great votary of womens education, which was non-existent in India during his time. He firmly believed that social progress is not possible without imparting education to women. Thus, establishing schools for girls became the main focus for Arya Samaj organizations all over India . Swami Dayanand pointed to the dire need for a thorough study and research of ancient Indian literary works to weed out all interpolations that had crept into our sacred books because of foreign rules over India for more than a thousand years. He preached Indias independence from British rule and promoted Hindi as the national language of the country. Swami Dayanand translated RigVeda with Adhibhautik (worldly), Adhiatmik (Spiritual), and Adhidaivik (Divine) interpretations. He wrote a book called The Light of Truth. Among the other books that Swami Dayanand wrote is Sanskar Vidhi which provides a uniform standardized structure for the performance of sixteen (16) Sanskaras from birth to death including the format for daily and periodic prayers and Havan/Satsang. Swami Dayanand believed in human equality and disapproved the birth-based caste system, untouchability, child marriage, and preventing widows from remarriage or a normal social life. Swami Dayanand firmly believed that through education people can be taught, for their spiritual uplift, to rise above the basics and understand the true nature and characteristics of God Almighty. Thank you for visitng this website.